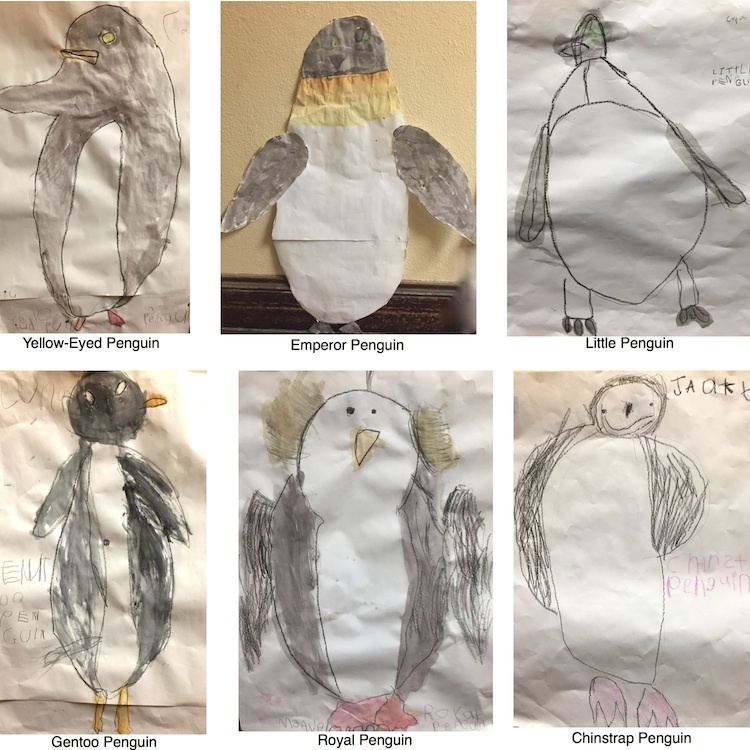 News & Blogs Kindergartners took learning about penguins into their own hands. Kindergartners took learning about penguins into their own hands. There are 26 different kinds of penguins. 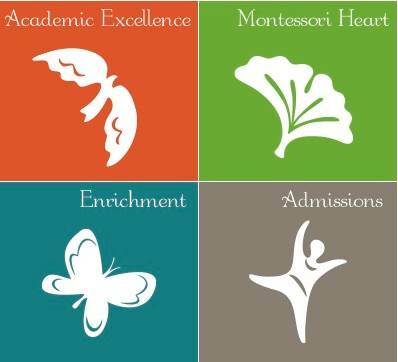 Kindergartners in the North Room each chose a penguin type to learn about and to paint. 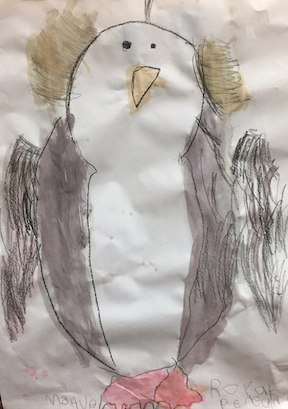 The children made a life-size painting of their penguin and wrote a few sentences about their penguin’s unique properties. You can see their Yellow-eyed, Little, Emperor, Gentoo, Chinstrap and Royal penguins hanging out in the hallway off the kitchen. They’re so lifelike, it’s easy to imagine them begging for food scraps from Chef Audrey when no one is looking.